Her own experience is proof. “Without the award, I wouldn’t have been able to accept this internship, since living in Orange County is very expensive,” she says. 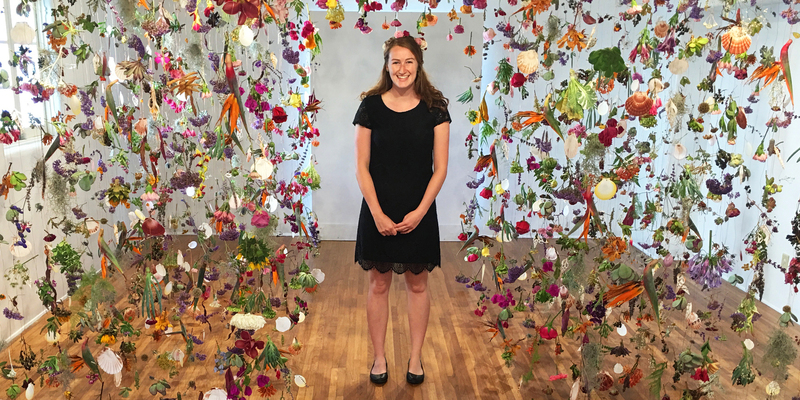 As an intern with Casa Romantica Cultural Center and Gardens, her daily tasks included creating social media posts and working on the website for the organization, which provides arts and cultural opportunities for youth in San Clemente, California. Athena Jimenez ’17 — who participated twice in the program — agrees. The work she did for USD professor Andre Der-Avakian at his research lab at University of California, San Diego, helped her land a job in the biotech industry after graduation. USD encourages undergraduate students to participate in at least one internship or research experience during their time on campus. These can develop through contacts students make on their own, through connections provided by professors and academic offices, alumni and parents, or through the on-campus events and recruiting initiatives organized by the Career Development Center. The Summer Internship Award fills much-needed financial gaps by providing students with the financial support they need to pursue such opportunities. The application process is intentionally selective; those chosen are eligible to receive up to $3,000 to offset costs related to participation. Funds may cover travel, business attire, child care, housing outside of one’s hometown and funds to augment sometimes low-paying opportunities. This allows students to be thoughtful in choosing opportunities that truly align with potential career goals. With the help of James D. Power IV, ’85 — an alumnus, parent, trustee and chair of USD’s Leading Change campaign committee — the Power family’s Kenrose Kitchen Table Foundation created the fund so that students can take advantage of internship opportunities. “I encourage more parents, alumni and friends to support this valuable cause,” says Power. Coordinated by the Career Development Center, donations have primarily come from the foundation and the Parents Fund. Annually, parents give to USD to support causes like this one; leaders of the Parent Board see great value in supporting real-life experiences prior to graduation and have earmarked a portion of the general Parents’ Fund to the Summer Internship Award over the past three years. A total of $111,000 was distributed to 36 students during Summer 2017. Power is optimistic that when word gets out, others will contribute. “Together we can help to provide a life-changing experience for our students to catapult them into fulfilling careers,” he says. To learn more, go to sandiego.edu/give-internship.